March 2017 is the start of an exciting period in pirate and maritime history. 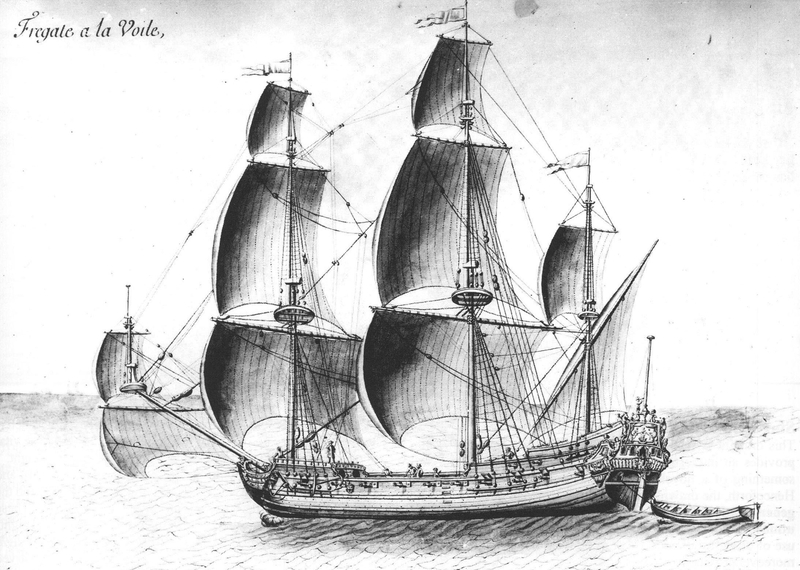 La Concorde, the French vessel that would later become Blackbeard’s famed flagship, began its final voyage on this day in 1717. Join us over the next two years as we follow this ill-fated trip and the life of Blackbeard and his Queen Anne’s Revenge. *The original French documents state the date as March 24. However, the French calendar in the 18th century differed from the English calendar by 11 days. The date used here (March 13) corresponds to the 18th-century English calendar for consistency. -Deposition of François Ernaud, “27 avril 1718. La Concorde de Nantes prise et pillée par les forbans.” Archives départmentales de Loire-Atlantique, Nantes B 4578 f° 56V& s.
-Ducoin, Jacques. Barbe-Noire et le négrier La Concorde. Grenoble, France: Éditions Glénat, 2010. -Thornton, John. [Atlas maritimus or, the sea-atlas: being a book of maratime sic charts describing the coasts, capes, headlands, sands, shoals, rocks and dangers, the bays, roads, harbours, rivers, and ports in most of the known parts of the world: with the true course and distances from one place to anot., gathered from the latest discoveries that hath been made, by diverse, able and experienced navigators of our English nation, accommodated with an hidrographical sic description of the whole world &c] . [London: John Thornton, ?, 1700] Map. Retrieved from the Library of Congress, https://www.loc.gov/item/2010592349/.